sarah's quilt is amazing..when i saw it i knew it was hers. she has such a style. 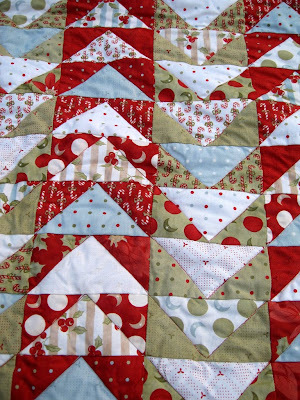 i love this little quilt...i would love to make a big one just like it. Both quilts are wonderful. And your flying geese are looking great. Lovely, just lovely. 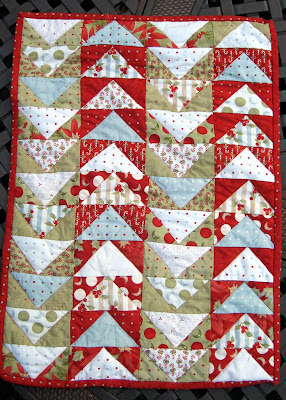 I love your Thankful quilt that you received and your flying geese one... wonderful. I'll have to give them a shot one day. 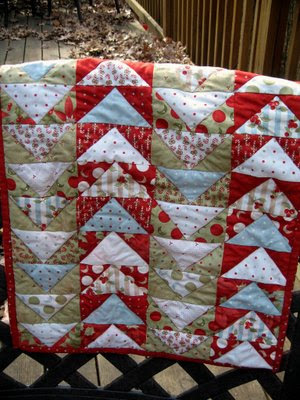 I love the triangle quilt! 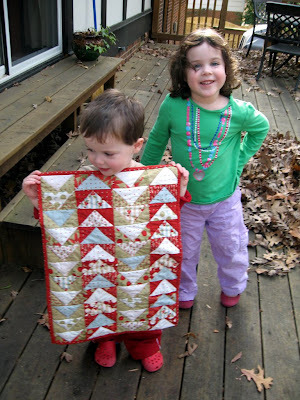 I may make a doll quilt like that (in christmas colors) for my kiddos. 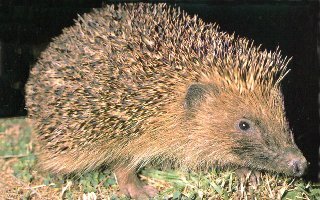 I do love the one on the front cover of the magazine as well. but holy cow, that's a WHOLE LOT of triangles. and how lucky are you to have received Sarah's quilt?!?!?! it's beautiful. Hi John...woo hoo! I'm actually working on the BHG quilt as well. what a gorgeous quilt!!! 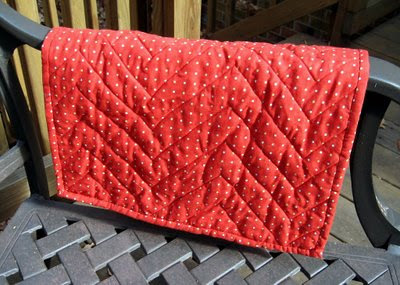 that swap produces some of the prettiest little quilts...one of these days ill have to participate in it! 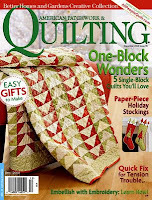 Your quilting has really come a long way John...keep up the beautiful work! oh, and congrats on the 382 comments for your giveaway.....amazing!!!! 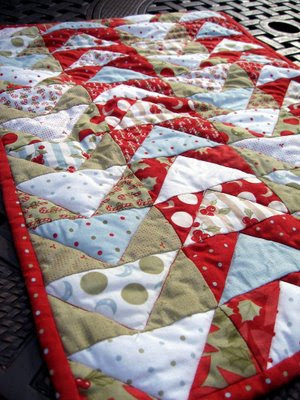 I love the doll quilt you received and the one you made; very nice!